The Colorado Rockies traded Lafayette High School alum Chaz Roe to the Seattle Mariners for second baseman Jose Lopez Thursday night. 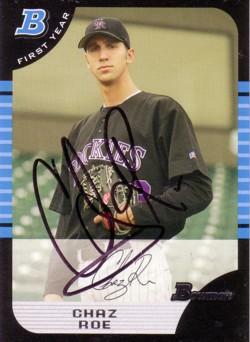 Roe, the Rockies’ first-supplemental-round pick out of Lafayette in 2005, was 9-13 with a 5.98 ERA in 27 starts for AAA Colorado Springs in 2010. Baseball America ranked the right-handed pitcher the No. 24 prospect in the Rockies’ system before the 2010 season.